Sourav Ganguly, the former Indian cricket team captain, called for India to cut off all sporting ties with Pakistan. The call comes after a terror attack in the Pulwama district earlier this month. The attack killed 40 Central Reserve Police Force members. A former team member of Ganguly’s, Harbhajan Singh, said that India should not play Pakistan in the upcoming World Cup. 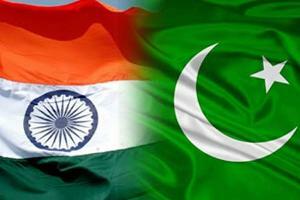 Ganguly agreed with Singh that India’s chances remain unchanged if they do not play Pakistan in the Cricket World Cup. It was not clear, however, whether Ganguly meant for India to avoid all matches against Pakistan. The question is whether he suggests avoiding one match as a symbolic gesture, or if he meant all matches. Should it happen that Pakistan makes it to the finals or semifinals, should the Indian team forfeit the World Cup? Ganguly also noted that India is in excellent shape ahead of the World Cup, which begins on 5th June 2019. Ganguly made it clear that he was not only speaking about cricket and the upcoming World Cup. He feels that India should cut all sporting ties across the board, along with any connection with Pakistan. Ganguly is not alone in calling for this action.